Schalke is worth an investment in the opening match of the 28th German Bundesliga round because several bookmakers, including Betfred and Winner, are offering odds of 1.80 about it getting the better of Hertha in Gelsenkirchen. Having dug in for a goalless draw away to Revierderby rival Dortmund, Schalke has a real shot at finishing second in the German Bundesliga behind Bayern Munchen. Three points from its home match against Hertha would assist Schalke in its quest and there is every reason to think that it will win. Only Bayern Munchen has posted German Bundesliga results of superior quality to those of Schalke in 2014 and the famous team has won seven and drawn one of its eight top-flight home games since losing 1-3 to Dortmund in October. The recent form of Schalke is a far cry from that of Hertha, which has lost three matches on the spin and is without a win since bagging a late goal at Stuttgart six games ago. Schalke defeated Hertha 2-0 in Berlin during round 11 of the German Bundesliga courtesy of Adam Szalai’s goal in the 26th minute and Julian Draxler’s clincher in second-half stoppage time. Schalke’s home numbers are the second best in the top flight so that, combined with Hertha’s recent run of outs and the head-to-head statistic, point to Jens Keller’s side. Wolfsburg got its UEFA Champions League qualification push back on track with a midweek German Bundesliga win away to Bremen and its home game versus Frankfurt represents an opportunity for the Wolves to stay in the hunt for fourth place behind Bayern Munchen, Dortmund and Schalke. BetVictor is offering odds of 1.87 that Wolfsburg completes the German Bundesliga double over Frankfurt. Wolfsburg won the reverse fixture 2-1 in November, leading through an Anderson Bamba own goal inside the opening two minutes, conceding an equaliser 10 minutes before half time but deservedly securing all three championship points through Maximilian Arnold with eight minutes left on the clock. It is that head-to-head result in conjunction with Wolfsburg being a strong home team that is coming off an impressive away win that leads one to back the Wolves at odds of 1.87. 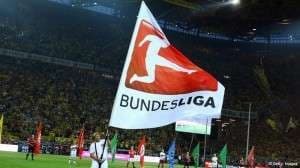 Finally, Freiburg appeals at odds-against prices for its German Bundesliga home match against Nurnberg. BetVictor is offering odds of 2.10 about Freiburg, odds that seem like a couple of rolls over the top when one considers the ladder and how the reverse fixture panned out four months ago. Freiburg scored three goals in 32 second-half minutes to beat Nurnberg 3-0 in Bavaria but the raw result tells only half the story. Freiburg played the last 20 minutes with just 10 men following the dismissal of Oliver Sorg for two cautionable offences. Freiburg led only 1-0 when Song was sent from the field so it was a remarkable effort for the Brazilians of Breisgau to increase their advantage during the period when they were at a numerical disadvantage. Nurnberg sides of various vintages have hated playing versus Freiburg. The last nine meetings of the teams have taken place in the German Bundesliga and Nurnberg has not won any of them, drawing three and losing six. The corresponding fixture last season ended in a 3-0 victory for Freiburg, although the Brazilians of Breisgau – that has to be the best nickname in German football – scored two late goals. Confirmed German Bundesliga champion Bayern Munchen is trading at odds of 1.17 with BetVictor to make it 14 home league wins out of 14 by defeating Hoffenheim. Certainly there would be nothing wrong with including Bayern in any multiple bets because odds of 1.17 seem somewhat generous given Bayern’s dominance of the division and the fact that Hoffenheim does not know how to keep a clean sheet.